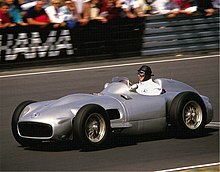 ^ Driver Profile - Juan Manuel Fangio. F1官方網站. [2013年4月23日]. （原始内容存档于2007年6月29日） （英语）.